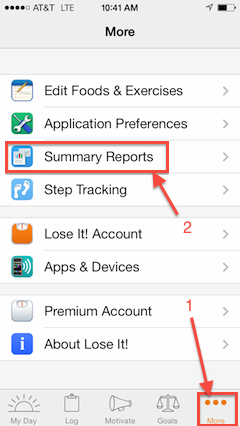 We have integrated with LoseIt app to bring you your clients meal log. LoseIt app is a simple tool for tracking what you eat. 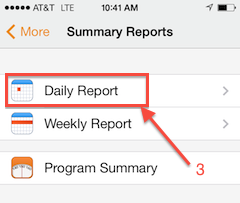 You can use the LoseIt app to log your food intake each day. How can I see my clients meal log? Open the LoseIt app. 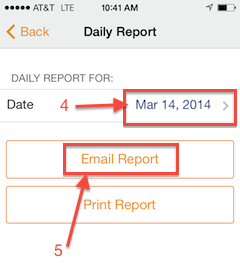 Click on "More" and then "Summary Report"
Select a date for which they would like to send the meal log. And then click on the "Email Report" button. 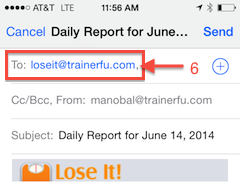 You will now be able to see your client's meal log in the TrainerFu app. Your clients can download the free app from here (for iPhone/iPad) or here (for Android).